To list all the reasons why one should visit Bali would require you to clear your diary for an entire day. 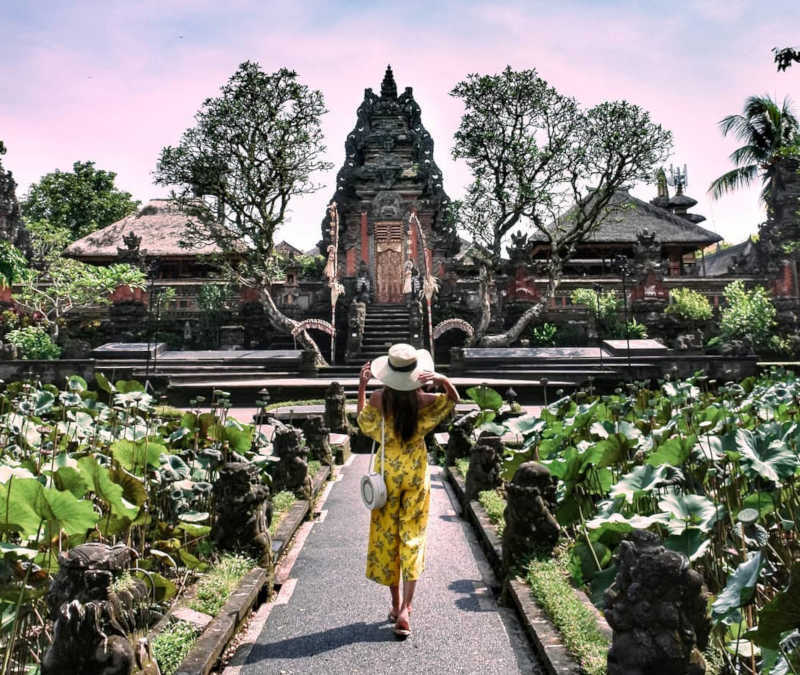 More than ever, South Africans are visiting Bali and falling in love with its sun-kissed beaches, tasty food, affordable island living, and the laid-back environment that allows you to forget all your life hacks momentarily. There is more to Bali than what meets the eye. 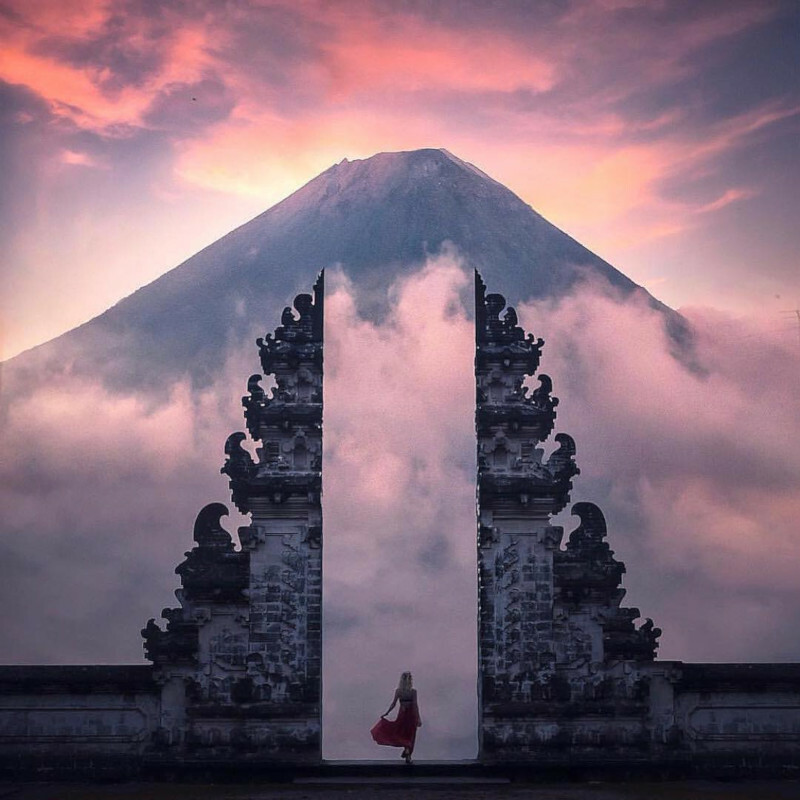 Popularly known as the ‘Island of the Gods’, Bali, in fact, has a very strong spiritual pull which has kept people the world over coming back for years. Also known as the ‘Island of a Thousand Temples’, Bali’s temples should certainly be high up on your list of Bali attractions. 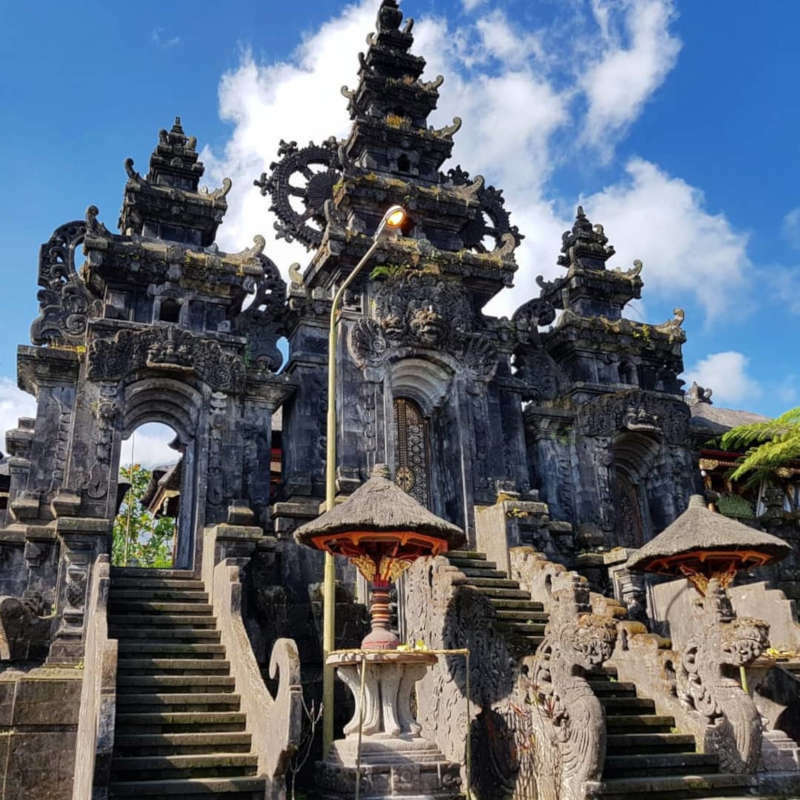 While there might be thousands of Bali temples, there are a few iconic temples which we would strongly advise you make the effort to see if ever you find yourself in Bali. Below is our top 10 which we know you’ll love. They’re filled with mystical stories and offer a totally unique experience. An important fact to bear in mind is that the Balinese culture observes a different calendar. They observe a Gregorian calendar which consists of 210 days. This calendar means that the temples share anniversaries and events over these periods which occur twice a Gregorian year. This may sway your decision on the time of year you wish to travel. So, grab a coffee, a pen and a piece of paper because we’re about to create your list of Bali temples you should be visiting on your next trip. Only a 45-minute drive from Kuta, on the west coast of Bali, sits one of the most picturesque and frequented of Bali’s temples. Its offshore positioning is due to a priest from the East of Java who travelled to the west coast village of Beraban to share his teachings of Hinduism. The village chief opposed this. The priest resisted and promptly pushed a rock out to sea and proceeded to meditate on the rock while transforming his sashes into sea snakes to guard at its base. The village chief quickly became aware of the priest’s powers and eventually succumbed to his teachings, and so the temple was born. While you cannot enter the temple grounds, Tanah Lot is still home to spectacular sunsets and many cultural festivities throughout the year. A cultural event not to be missed is the heirloom pilgrimage parade that takes place five days prior to the temple’s anniversary, Kuningan. This is certainly a Bali attraction worth witnessing. 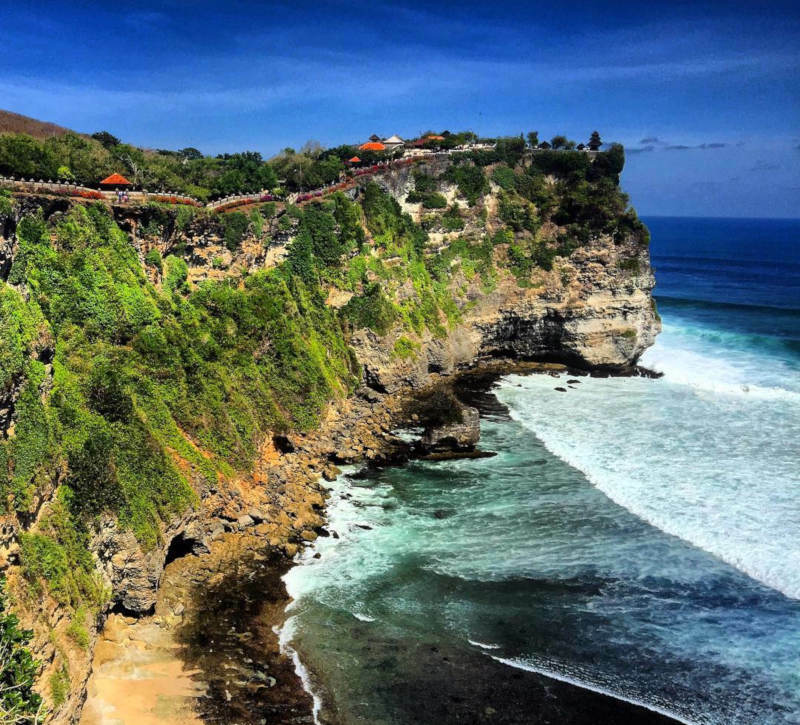 If you haven’t yet had the luxury of visiting Uluwatu Temple, you would probably recognise it anyway. Perched on a 70m high cliff amidst the crashing waves makes for a picture-perfect or postcard-perfect setting. The temple is made up of an eclectic mix of archaeological remains, a number of beautiful shrines, and forest-like gardens which give you the distinct feeling of a peaceful sanctuary, all of this on the backdrop of the warm Indian Ocean. Monkeys at Uluwatu temple are at large and known to steal cameras, sunglasses, hats, or anything that can easily be accessed when not paying attention. The monkeys might, however, be willing to trade your camera for a banana or some nuts. The Kecek dance is a traditional Hindu Balinese dance which dates as far back as the 1930s. 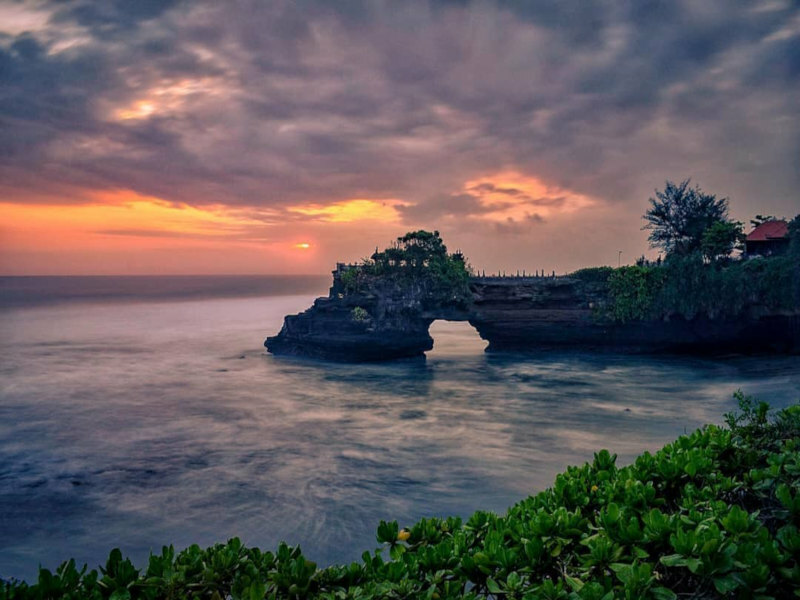 The Uluwatu Temple hosts a performance daily from 18:00 to 19:00 and is said to be one of the best of the Kecek performances, so get there early and watch this music drama as they dance into the sunset. This is definitely one you should add to the list of Bali temples to visit. Dates to be confirmed. Alternatively, speak to a local. Entry Fee: The cost would be the same as that of your snorkelling or diving tour, which you’d take to visit this temple. Opening Times: The timings would vary and depend on the snorkelling company you’d choose for your visit. What better way to visit a temple in Bali while submerged in the ocean and out of the sweltering heat?! If nothing else, it certainly makes for a unique experience. Just 90 feet beneath the ocean’s surface near Pemuteran Beach in North West Bali is the Devata Vishnu Temple. While we’d like to say this temple is hundreds of years old and holds a fascinating history, this would be a lie. Although it is one of Bali’s most famed attractions, it’s the second of two man-made Bali temples built as part of an artificial reef project. 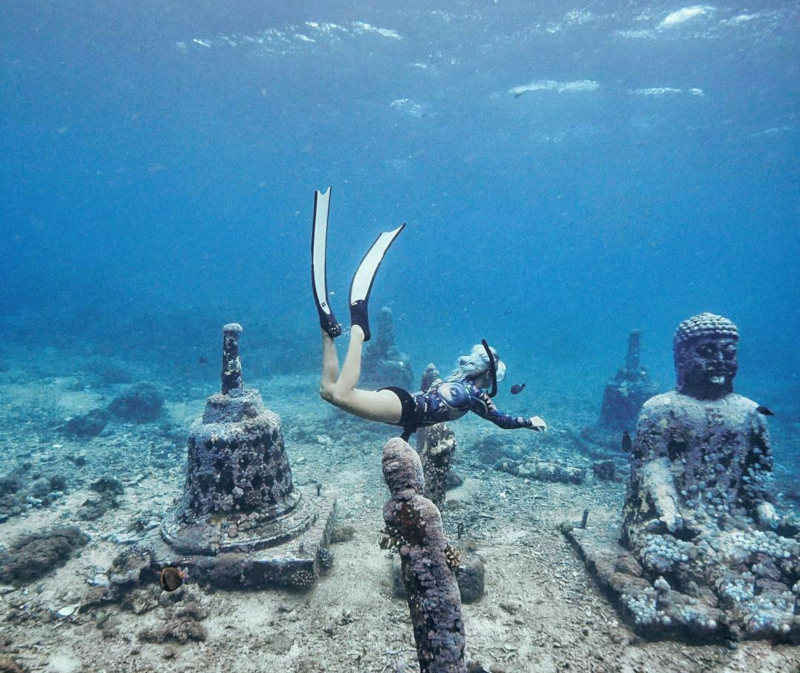 These statues and structures were built purely to create marine habitat. It’s not the worst idea in the world, and they certainly make for beautiful photo opportunities, so don’t forget your underwater camera. Goa Gajah should definitely be on your list of Bali temples to visit during your trip. This century-old cave built on a hillside for spiritual meditation is one of the most popular of Bali attractions in Ubud for learning about its significant history and experiencing unique sights. 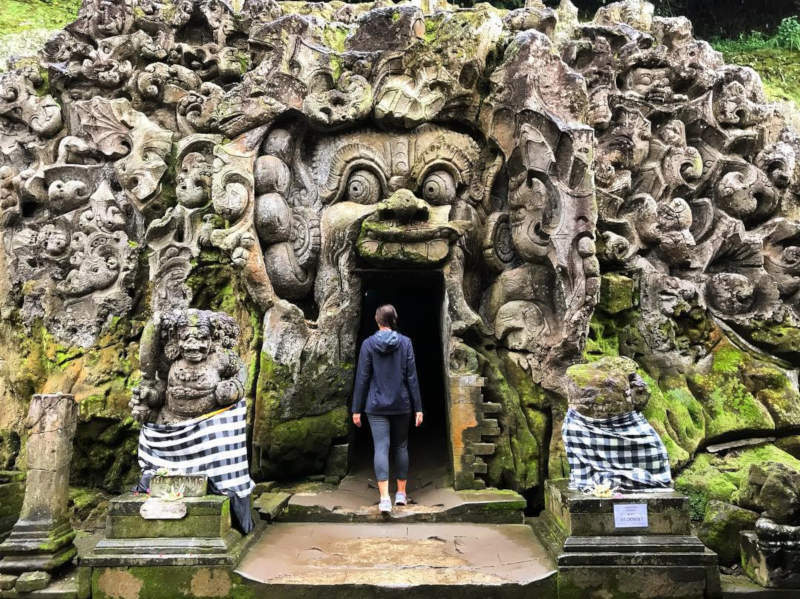 Goa Gajah translates into ‘Elephant Cave’, which may lead one to believe you are about to walk into an elephant sanctuary, or at the very least that there might be signs of an elephant. However, there are various theories as to how this name could’ve come about as there are no sightings of any elephant-related carvings or statues. Once upon a time, a spiritual place for meditation, the now relic-filled courtyard, rock-wall carvings, central meditation cave, and the bathing pools around, tell a story of both Buddism on the north side of the complex and Shivaite (Hinduism) on the south side. 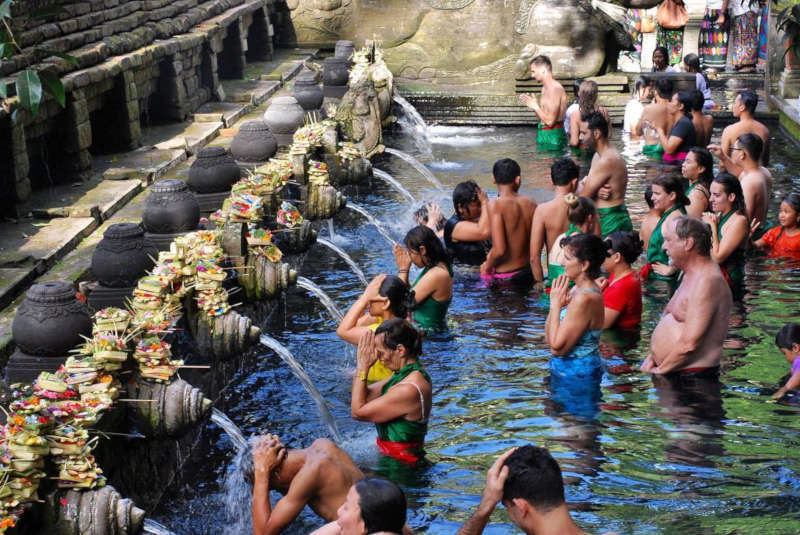 Thousands of people every year flock to one of the largest water temples in Bali. Tirta Empul is famed for its holy water which is believed to be used for purification rituals. While wrapping yourself up in sarongs and lining up to receive your blessing from the water fountains might be the focal point in your visit, you will notice that the temple is also comprised of pristinely kept rolling lawns and colourful tropical plants. The scenery is in fact quite something. On your exit, you will be met with a maze of local souvenir stands filled with local arts and crafts and clothing items. Once you’ve seen enough of the temple, you can keep yourself occupied for quite some time with a bit of retail therapy. 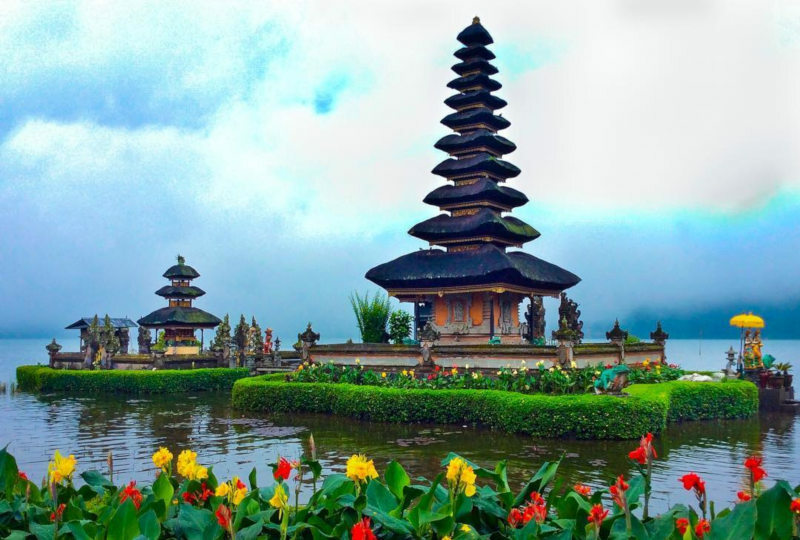 This is definitely a must-see attraction on your list of Bali temples to visit. If it’s a spiritual journey you are after, then there is no better place to start than the Besakih Temple. Often referred to as Bali’s ‘mother temple’, Besakih is the biggest and the holiest temple complex on the island. With its entrance that feels like a ladder taking you directly to a paradise on the slopes of Mount Agung, it would be difficult to not be completely taken by your surroundings. An entire day would be needed to visit all 86 temples which make up this sacred complex but, once you climb the many stairs you will be left speechless with the breathtaking mountain views, rolling rice paddies, streams and so much more. With at least 70 ceremonies taking place a year, it’s no surprise that it was made a World Heritage site in 1995. Who knew Bali’s temples were so interesting?! Known as the most iconic of sanctuaries, Ulun Danu Beratan Temple is the perfect setting for a holiday retreat. With the glassy reflection of the lake surrounding most of the temple’s base, accompanied by the backdrop of the mountain range of the Bedugul region, you’ll be hard pressed to find a more peaceful setting to rejuvenate the mind, body & soul. It certainly makes for one of the more beautiful Bali temples. The history of this temple dates as far back as the 17th century. Although it is one of the biggest Bali attractions, Ulun Danu Beratan Temple is used for offerings ceremonies to the Balinese water, lake and river goddess Dewi Danu, due to the importance of Lake Bratan as the main source of irrigation in central Bali. Pura Taman Saraswati is a sight for sore eyes. This beautiful water temple in central Ubud features classical Balinese decor and architecture including ponds filled with pink lotuses. You’ll simply stumble across it while taking a leisurely walk around Ubud town and then spend the next couple of minutes soaking up the picturesque surroundings. Take a stroll around the temple and, for a minimum charge of R182.00 (IDR 200,000), stay for dinner at the Lotus Cafe for some traditional cuisine, and get the best seats in the house for the open stage where you will witness the evening’s local dance performance. Yes, there are some Bali temples which offer a far more relaxing experience. In close proximity to the Tirta Empul Temple, Gunung Kawi is known as not only one of the oldest, but also one of the best temples in Bali. It’s the leisurely 370-step decent to the temple that makes this experience so memorable. With every step, you will be taken on a historical journey accompanied by art shops, food kiosks and lush rice paddies. On arrival, you will pass under an archway of small pillars. These pillars each hold a vase filled with holy water which visitors can sprinkle on themselves. 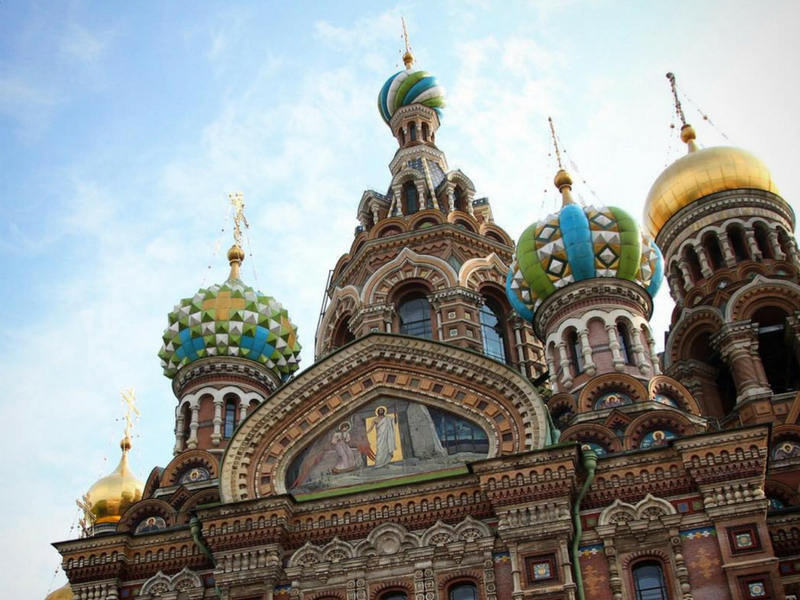 Once you are inside you will be met with ten seven-metre tall shrines. The story goes, that the shrines are the memorials of a defied Balinese king, his concubines and his family. 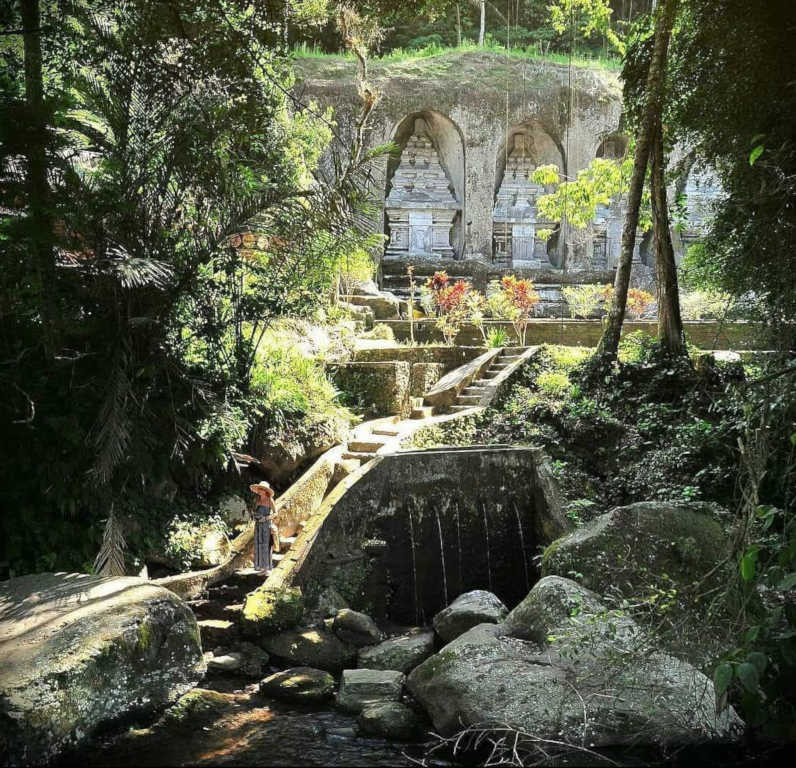 Gunung Kawi is often referred to as the tomb site of the Warmadewa Dynasty. Are you sure you don’t want to add this to your list of Bali temples to visit soon? Entry Fee: This temple requests a donation. We would advise that you pay anything between R7.00 (IDR 7,500) and R27.00 (IDR 30,000) which is what you can expect to pay at any other temple. Don’t let the 1700 steps to reach the top of this temple scare you. For those who prefer not to sweat it out, you can still enjoy sites along the way including more Bali temples. A temple which has become extremely popular as a photo opportunity is grand Pura Penataran Agung temple at the foot of the mountain. While this is a great starting pointing, there are better views as you tackle more of the stairs. For a negotiated fee, you could arrange a motorcycle taxi which would take you to Penataran Agung, which is as far as the road will allow, giving you less time on your feet and a bit of a head start on the hike. To reach the top of Lempuyang Temple you would still need to take another 1500 steps. Yeah, it’s not for the fainthearted. Locals believe that the pilgrims who are able to push through to the top, are the ones with a heavier heart, so there’s the silver lining. It’s not so bad after all! Always carry money for the temple entrance fee. A lot of the larger temples may ask for additional donations while walking around the temple, so a few extra pennies will always come in handy. Always carry a sarong as a large number of the temples, out of respect, will require you to cover up certain areas of the body. Carry water with you everywhere you go. Some of the Bali temples have a lot of stairs and are spread over a large stretch of land with sometimes very little coverage from the sun. Try to get to the temple as early as possible, especially if you are travelling during peak season. These Bali temples fill up quite quickly and you may even have to queue from time to time. Bear in mind that pilgrims and devotees will always get preference over visitors to the Bali temples. A large number of people believe that once you’ve seen one temple you’ve seen them all. The above-mentioned temples are certainly not your everyday temples. These Bali temples should definitely be on your list of ‘things to do in Bali’. 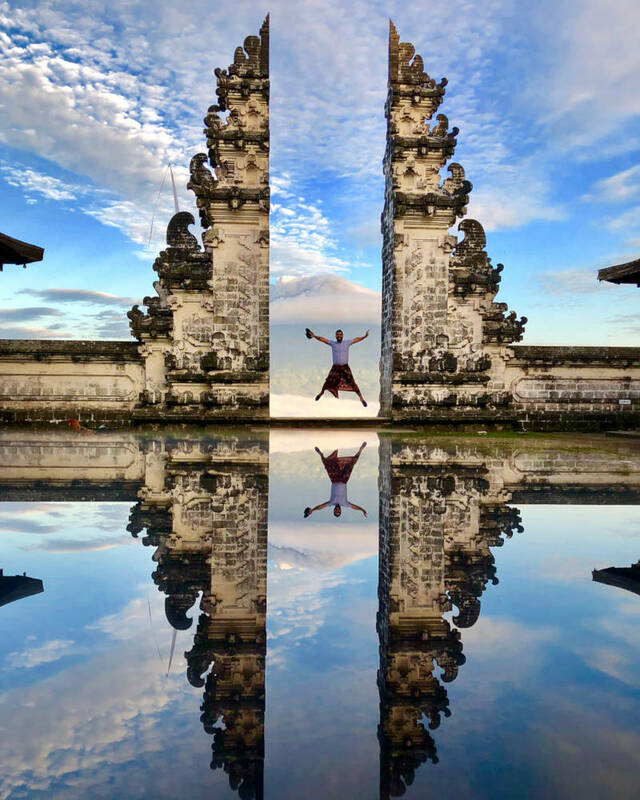 If you’re sure that temples are not your thing then try Island Adventure In Affordable Bali: Cycle Through Rice Terraces, Hike Volcanoes, Surf Your Heart Out. You might find this type of trip is more up your alley. Sign up for our newsletter today and be the first know about our flight specials to Bali and all our awesome deals! What are some of your favourite Bali temples? Let us know in the comments. We would love to know about some more secret gems. You might also be interested in: The Best Beaches of Bali or Bali’s Best Diving Spots.